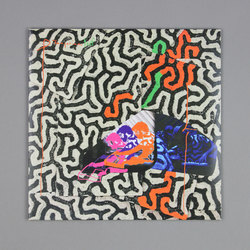 Animal Collective - Tangerine Reef. Vinyl LP, CD. Bleep. 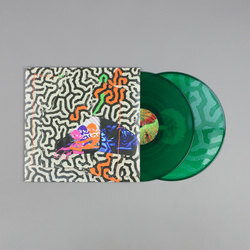 Animal Collective present Tangerine Reef, recorded in collaboration with Coral Morphologic, this new album is said to commemorate the 2018 International Year of the Reef. 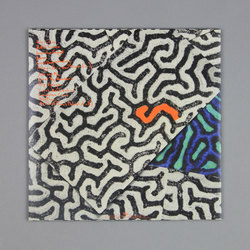 Described by the group as a visual tone poem consisting of time-lapse and slow pans across surreal aqua-scapes of naturally fluorescent coral and cameos by alien-like reef creatures, they sum it up best as: "Tangerine Reef is the sight and sound of a literal underwater collective of animals". What's instantly clear is that is a far more experimental affair than previous outings from the band, it seems as if this aquatic excavation has given the group's music a case of The Bends (as in the record that marked the beginning of Radiohead's still to this day, continuous descent into abstraction through electronics). At times Tangerine Reef could be some long lost Radiophonic Workshop recording for a now lost in the decade's TV listing for an underwater adventure where Animal Collective make a guest appearance, playing some of the usual sun-blushed pop of which they have been crafting since the earliest 2000's. 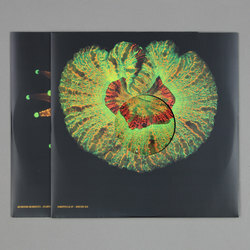 Much like Tangerines and Reefs themselves, the album is both tangy, tasty and when listened to as a whole quite an extraordinary sight to behold. As such, it's a strong recommendation to not only fans of the group but also anyone following closely labels such as Trunk, Not Not Fun or even Stroom and Music From Memory.